This little sweater features a double moss-filled cross-over chevron at the centre of the front and back, the remainder being worked in stocking stitch. This makes a lighter sweater than a full aran, and gives you enough detail to work with if you are new to the cable needle. Make it in a neutral colour for an every-day play sweater, or use pastel or stained-glass colours with fancier buttons for a dressed-up look. The chevron pattern is also featured on the roomy little hat. Ardan is pronounced “are-dawn” and means “high aspiration.” The hat is on the large size, I had designed it because my little granddaughter at that age had a full head of wild curly hair which needed to be contained! Suitable for boys or girls. The actual garment measures 19, 21 or 23 inches around at the chest. 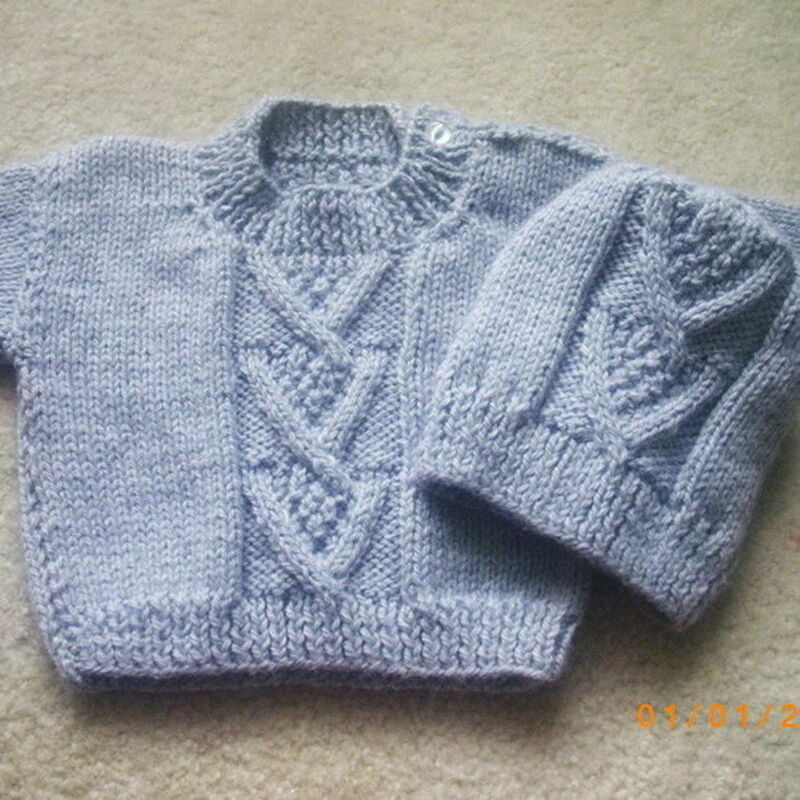 There are five pages to the pattern, with written instructions and photographs. 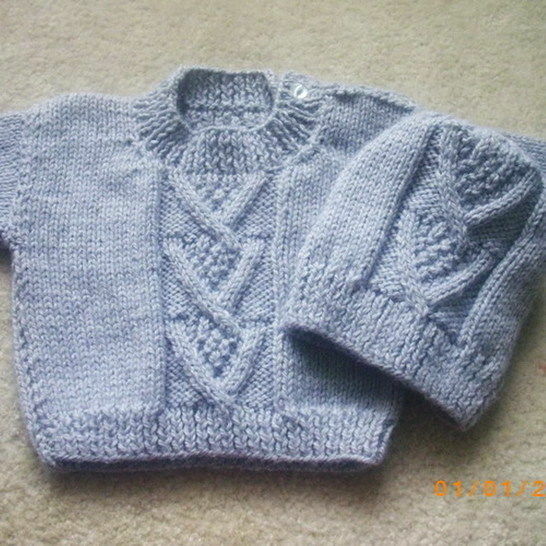 Baby double knitting yarn was used for the pictured garment, you don't need to use the yarn specified as long as you make sure that you check the gauge. The garment is knit flat, so only straight needles are required.